The US consumer closed out 2017 with a credit bang. 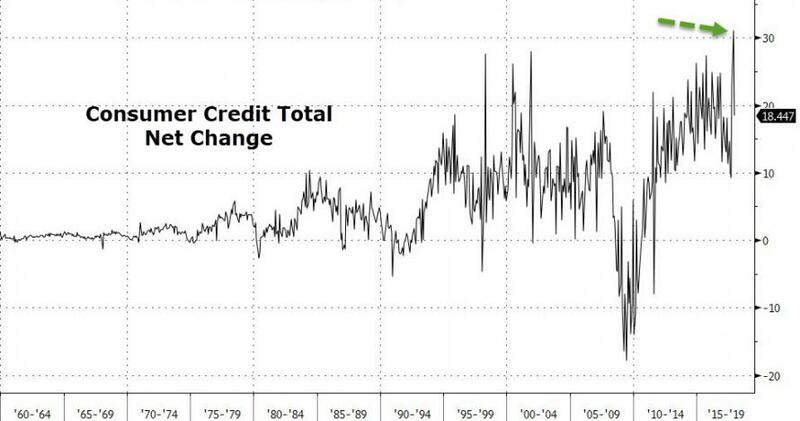 While we reported last month that in November US credit card debt had just surpassed the previous all time high hit in July 2008 just before all hell broke loose when Lehman filed for bankruptcy two months later, there was a slight chance that in December this number had declined after the record surge in November credit-funded spending (which was just revised from $28BN to $31BN). 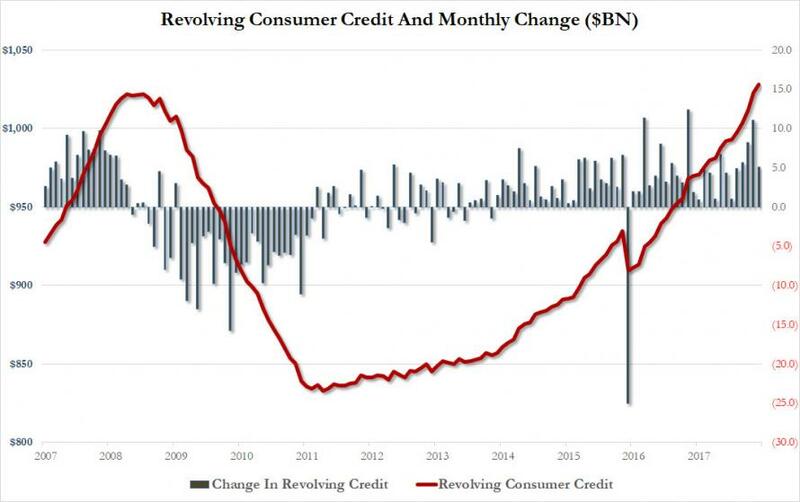 Well, that did not happen, and while December total consumer credit increased by less than the expected $20BN, it was still an impressive $18.45BN, of which $5.1billion was credit card debt and $13.3 billion non-revolving - or student and auto - loans. 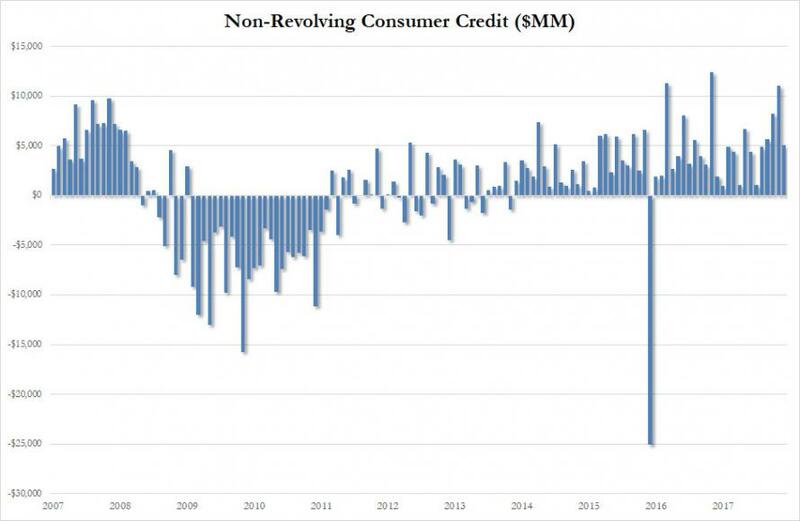 More importantly, with the latest $5.1 billion increase in revolving, or credit card, debt the total is now $1.027.9 trillion, the highest number on record. 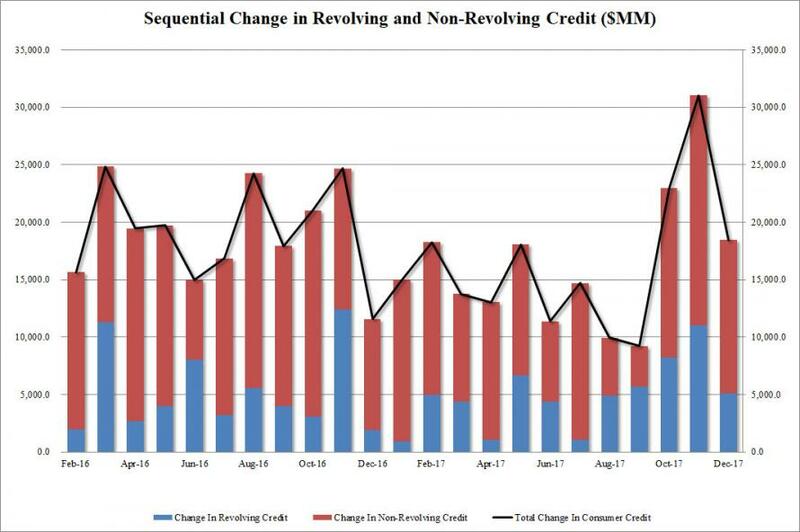 Meanwhile, non-revolving credit which with the exception of one definition change month, has never gone down, also hit a new all time high of $2.813 trillion, a monthly increase of $13.34 billion. What about its components? 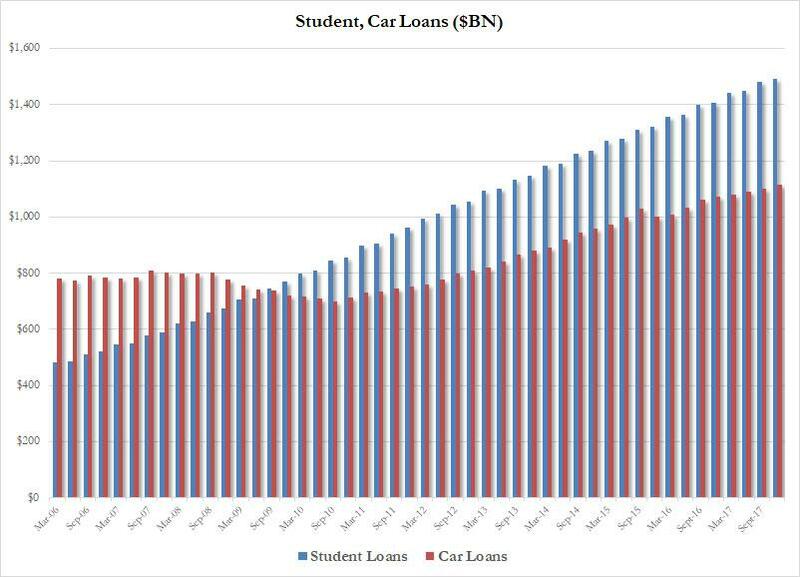 Well, with everything else going for record highs, we doubt it will be a surprise to anyone that both student debt and auto loans hit a new all time high in the quarter ending December 2017, with $1.491 trillion for the former, and $1.11 trillion for the latter. 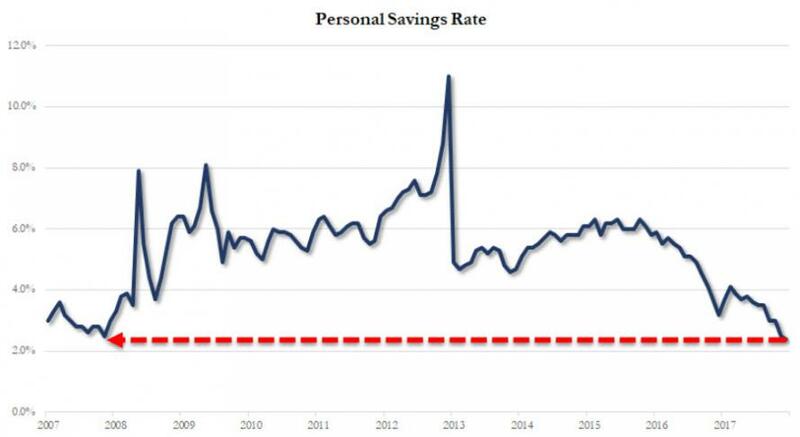 ... and with US consumers deep in the red on their household debt, just what will keep the US economic expansion going from this point on is far less clear, especially if the stock market has now peaked, as recent events suggest.